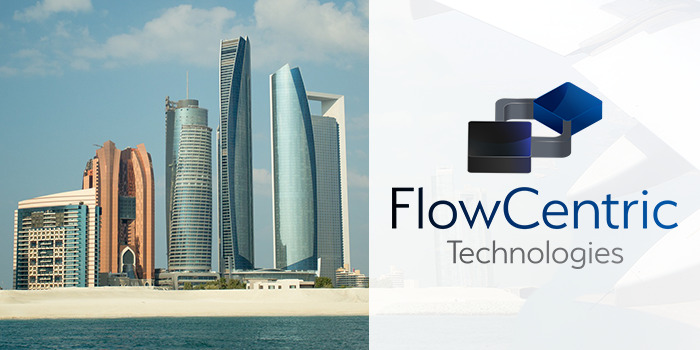 FlowCentric Technologies has successfully implemented an online system for the Abu Dhabi Department of Transport (DOT) to automate receiving, reviewing and responding to No Objection Certificate (NOC) applications for infrastructure work within Abu Dhabi’s Rights of Way. No Objection Certificate (NOC) is the term used to define approvals, granted by Authorities and Service Providers, indicating their requirements have been met and that they have no objection to proceed with work as defined in the NOC application. FlowCentric Technologies was approached by international engineering, management and specialist technical services company, Aurecon to develop an online Non-Objection Certification (NOC) System for the Abu Dhabi DOT. The objective of the project was to automate and streamline applications, objections and approvals for roads and infrastructure development. The automated NOC process formed part of a comprehensive solution delivered by Aurecon, to address the Abu Dhabi DOT’s challenges around managing infrastructure development in the rapidly growing city. Abu Dhabi has experienced tremendous economic, and as a result, infrastructural growth. Managing the applications, approvals and objections around this infrastructure development and related proposals had become very demanding. Backlogs were hampering growth in the city, and the consistent application and governance of procedures was difficult because of the volume, and manual processing of the applications. “The online NOC system FlowCentric Technologies developed, automates this entire process, from application to approval stage, ensuring applications are fast-tracked and that all the necessary controls are in place for compliance with DOT regulations,” says Jacques Wessels, CEO of FlowCentric Technologies. Using the online NOC facilities, developers can submit applications to build roads and infrastructure. The system integrates with a geographical information system (GIS) which provides details of existing infrastructure and possible obstructions to the proposed new infrastructure, it then routes applications to the correct people and departments for assessment. The system also tracks, analyses and reports on the progress of every application, using email to keep the originator informed at each stage. Automated and regular feedback makes it easier for the DOT to manage public expectations. With the automated NOC system, the Abu Dhabi DOT has eliminated paperwork, administrative bottlenecks and human intervention in terms of information management, while fast-tracking approvals on applications to develop Right of Way requirements. Since implementing the system, it has approved some 1600 applications in accordance with its rules, with the time taken from application to authorisation shortened to an average of 10 working days from previous processing and authorisation time taken from 3-10 weeks. “This project was particularly exciting for FlowCentric as it gave us an opportunity to showcase the bi-directional text support and multi-language capabilities of FlowCentric Processware, as much of the system is optimised for both Arabic and English users.” says Wessels. Solutions which don’t consider a diversity of cultures cannot adequately address the needs and dynamics of businesses or users globally,” says Wessels. “We believe the FlowCentric system has helped to entrench the DOT’s control over infrastructure development in Abu Dhabi without stifling the city’s growth through administrative delays. It has been a privilege working with the Department and we attribute our success with implementing this project on schedule to the buy-in and support we received from their top management,” says Wessels. Khamis Hamad Al Dahmani, Acting Head: Right Of Way Section says, “We thoroughly investigated our alternatives before making a decision. Other similar systems we studied take an average of two years to complete while this system was implemented in less than a year. “It also provides the most comprehensive solution, including research of international best practice, the assessment of existing legislation and proposed amendments to ensure that the DOT could be empowered to achieve the project objectives and establish the ROW section as one solution. “Prior to introduction of system 98% of NOC approval took 3-10 weeks for processing. Within first 6 months of implementing this system 51% of the NOC’s were processed within an average processing and authorisation period of 10 working days.This system has proven strategic importance to the organisation's mission”. These features and the successes achieved with the system have resulted in it being acknowledged with a DOT Chairman Excellence Award which is one of the highest accolades presented in the DOT awards programme.